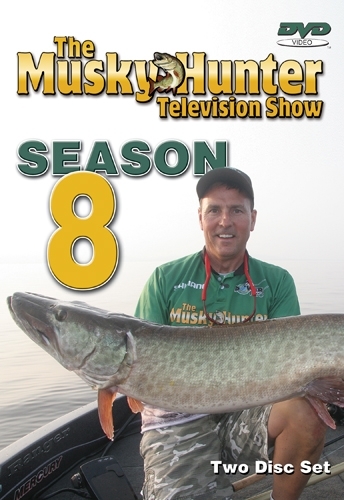 Join Host and Legendary Angler Jim Saric for 11 action-packed episodes from The Musky Hunter's Eighth Season. These shows aired in 2014. Featured programs include: Cedar Secrets; 3 Keys; Flat Facts; Channel Changers; Minaki Muskies; Summer Extremes; Kawartha Crushers; Prime Time; Essence of Fall; French River Roamers; and LOW Logic. Over four hours of musky action!